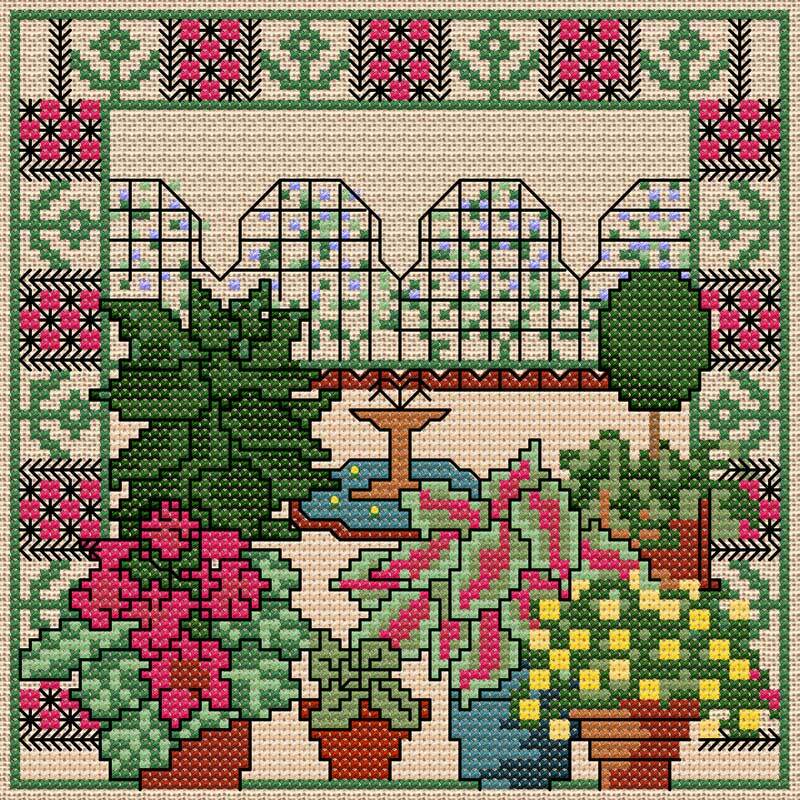 This pretty project is part of a series and is worked in counted cross stitch, double cross stitch and fly stitch with a little added backstitch for definition. There are full instructions with all my downloadable charts, which include these stitches. The design may be stitched on linen or Aida but remember that the design size will vary with the thread count.